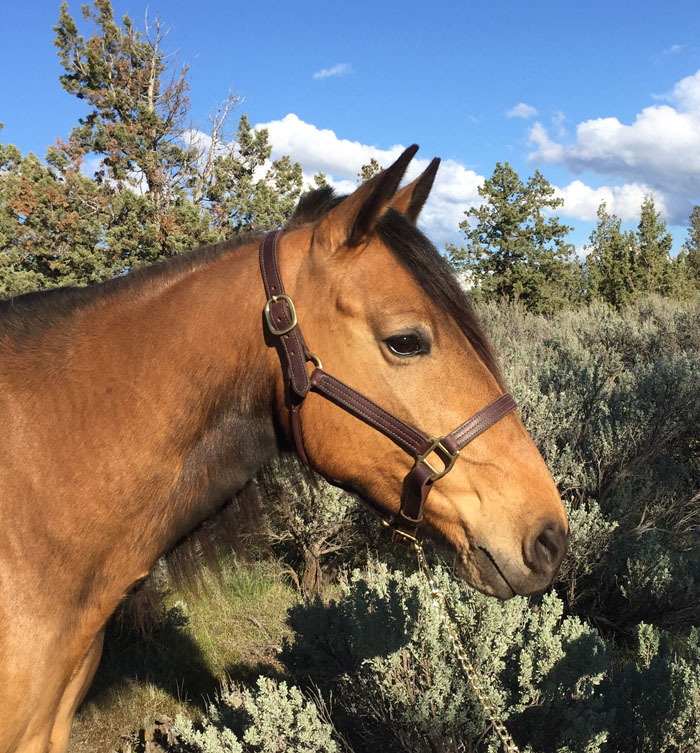 Instant eye appeal in this stunning, doe eyed, all-around pleasure gaited mare! 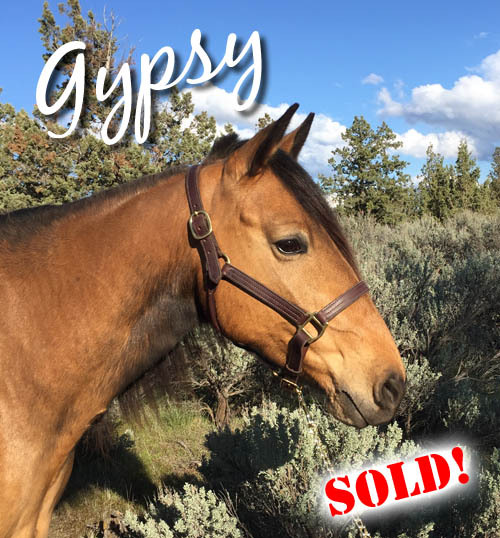 “Gypsy” is curious, gentle, kind and very easy on the eyes. She loads and travels well, gets along with other horses, and is not mare-ish when in season. She has excellent ground manners, shoes, bathes, clips, saddles, bridles, & ties well. She has spent time turned out in a herd and “plays well with others”, in addition to being well versed in stall living, blanketing and turn-outs. She is solid and sure footed, a willing traveler, not barn or buddy sour and rides out alone well. 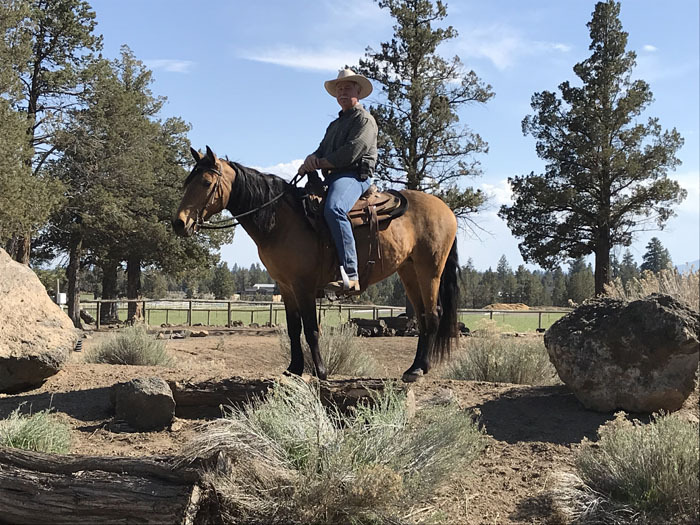 She is super on the trail and handles man-made obstacles and natural terrain with sureness and ease; including rocks, logs, steep draws, brush, live creek crossings, mud/bogs, wildlife and cattle. She is accustomed to being around children, bikes, dogs, motorcycles, traffic and heavy equipment close by. For a progressive youth or adult she's an all-around individual ready to go in any direction. 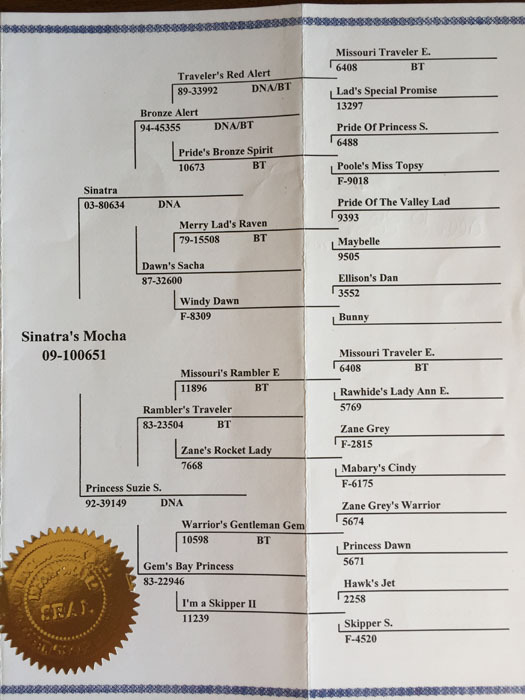 She is beautifully gaited and would shine in the breed show ring or all-around versatile events. Because she is well trained and eager to please she would be well suited for a low level intermediate or up rider. 9,500 Serious inquiries only please! Phone calls are preferred to long emails! For more photos and video see her on our Facebook page.